Some places have not yet been mapped in detail by our cartographers. 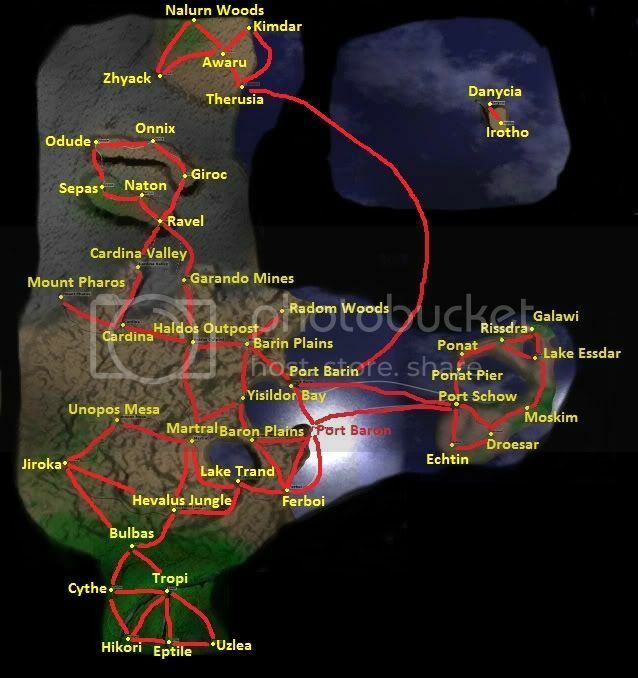 Marossa is between Cardina and Unopos Mesa, and can only be reached after completing the Trading with Marossa quest. Ashia is between Ferboi and Tropi and probably requires woodcutting level 20 to enter. HMS Halieutika is Captain Fred's boat. Danycia and Irotho are part of the neutral territories and are on a small island which can be reached from HMS Halieutika. 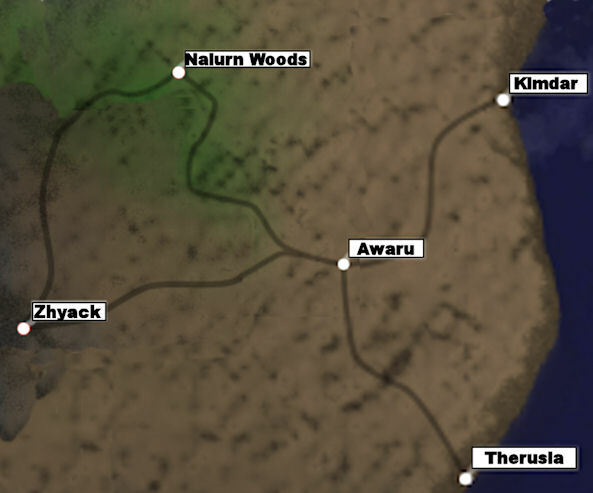 The other neutral territories: Awaru, Therusia, Kimdar, Nalurn Woods and Zhyack; are in the far north and can be reached by taking a boat or ferry from Port Barin to Therusia, or by taking the HMS Halieutika . Hidden Clearing is used for special occasions, and may appear in different locations. 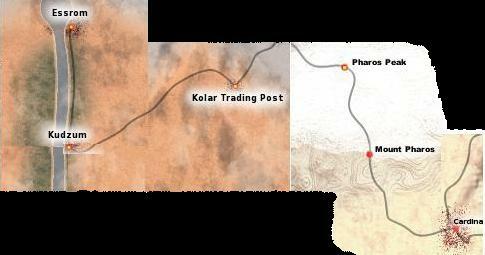 For example, it appeared as a Mining Camp northeast of Haldos Outpost for the 2008 Lost Miners Festival.